Egyptian President Abdel Fattah al-Sisi urged Israel to reach a peace deal with the Palestinians as an international donor conference opened in Cairo on Sunday to raise funds for Gaza. The Palestinian Authority (PA) has asked for $4 billion (3.2 billion euros) to reconstruct the Gaza Strip, devastated during a 50-day conflict between Israel and Hamas militants in July and August. Donors are wary of committing large funds in the absence of a permanent peace treaty, with Gaza having undergone three destructive conflicts in six years. 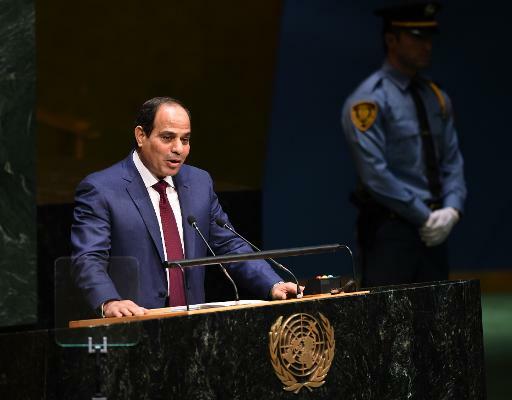 “I call on the Israeli people and the government: now is the time to end the conflict… so that prosperity prevails, so that we all can have peace and security,” Sisi said in his opening remarks. PA president Mahmud Abbas repeated his calls for an internationally set timeframe for establishing a Palestinian state, telling the global envoys in attendance that the latest conflict had destroyed government institutions in Gaza. “Gaza has suffered three wars in six years. Entire neighbourhoods have been destroyed… There is a tangible need for funds to bring back government institutions, because they have all been destroyed,” Abbas said. “There must be a new international approach to resolve the Palestinian-Israeli conflict,” he added. Abbas and his Islamist Hamas rivals in Gaza have agreed on a unity government which convened last week for the first time in the enclave. Egypt has said the conference will also try to shore up the PA in Gaza, seen as a key condition to allow aid into the Israeli-blockaded territory. Israel, the United States and the European Union have designated Hamas, which has ruled the strip since 2007, as a terrorist group.